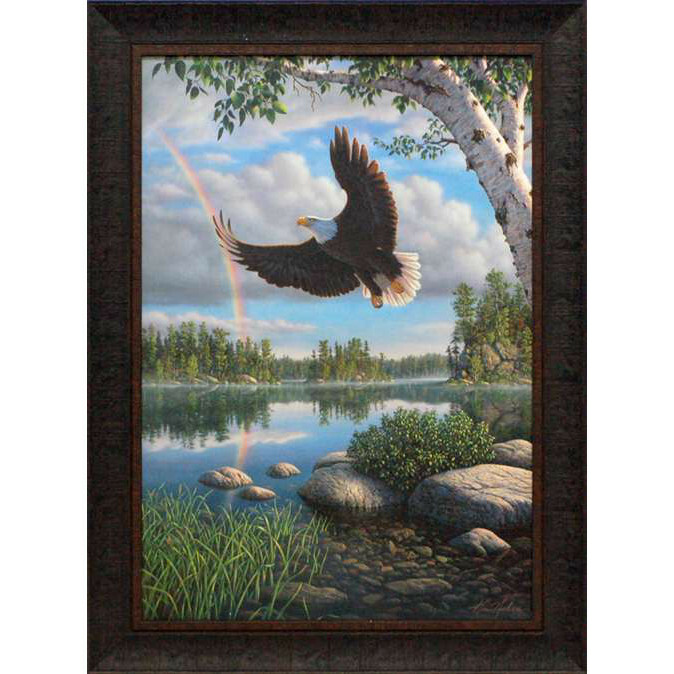 On Eagle&apos;s Wings by artist Kim Norlien features an idyllic rustic country lakeside scene of a really pristine up country lake surrounded by trees and a little mist after the storm. The storm clouds are clearing and a lovely rainbow has formed in the sky at the same time that a truly majestic bald eagle is landing on the water&apos;s edge. An amazing and beautiful wildlife landscape wholesale framed art print.